Mariya Koroleva is one of just a few American synchronized swimmers to stick with the program and make the U.S. national team for two Olympics. But it hasn't always been smooth sailing for Koroleva, who moved to the U.S. from Russia as a child. 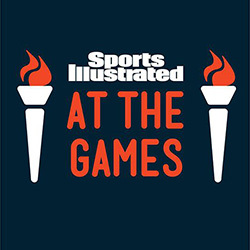 In the first installment of "Rio's Rising Stars" on the podcast channel SI At The Games, Koroleva tells Lindsay Schnell how she first got interested in synchronized swimming, and what brought her back to the sport she intended to leave after competing in the London 2012 games.